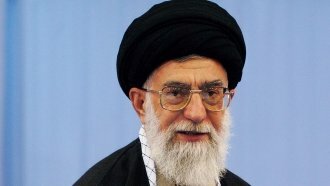 President Donald Trump has until Friday to decide if he'll bring back sanctions against Iran over its nuclear program. President Donald Trump has until Friday to decide if he'll bring back sanctions on Iran over its nuclear program. According to reports out Wednesday, Trump is expected to keep giving Iran a break from economic sanctions. Those sanctions were lifted as part of the 2015 nuclear agreement between Iran, the U.S. and other world powers. Trump has repeatedly criticized the agreement and even promised to pull the plug on it. But continuing sanctions relief for Iran would keep the U.S. in the deal, at least for now. Trump also faces another deadline this week to decide if he'll recertify Iran's compliance with the nuclear agreement.